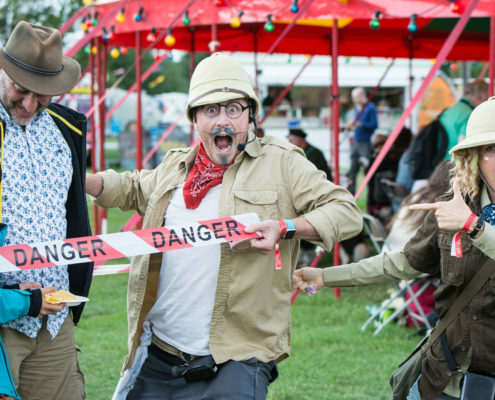 What can we say about Pandemonium! 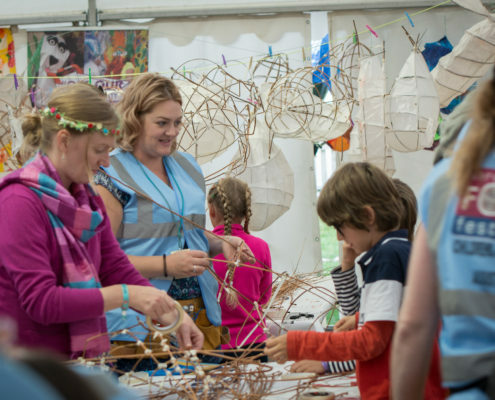 our children’s festival? 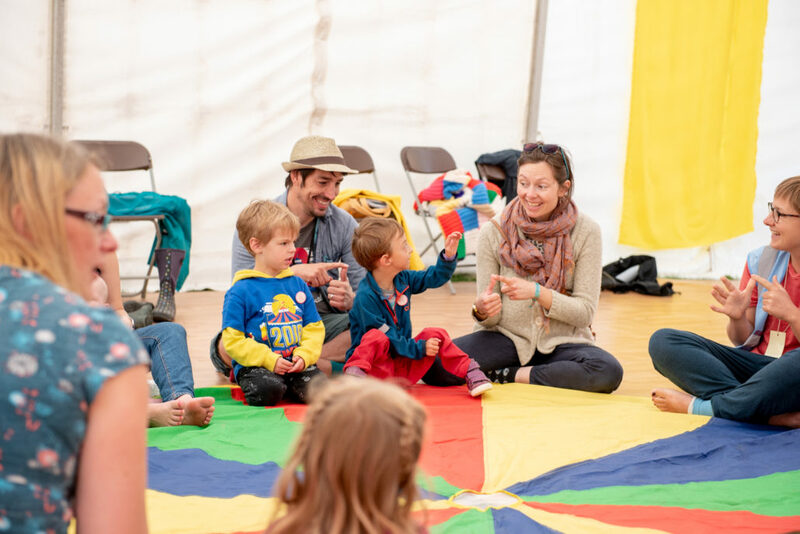 Kids love it (and so do the parents) and we have great fun creating an amazing weekend of music, dance, song, drama and crafts for children aged from birth to 10. 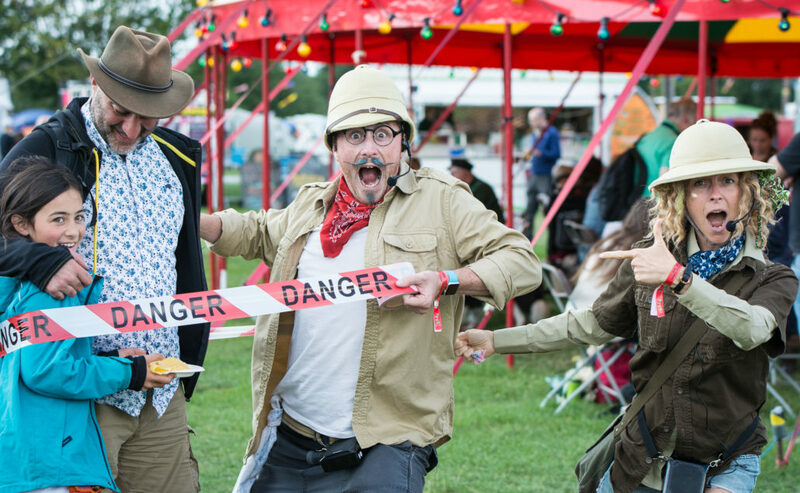 Pandemonium! 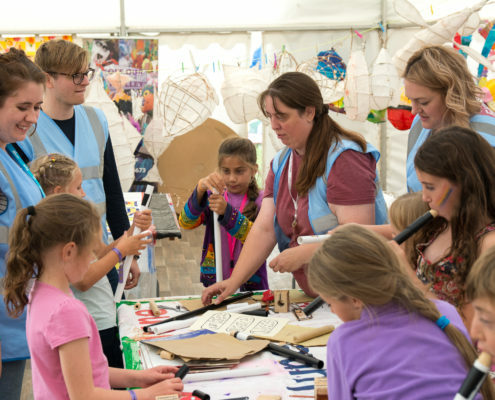 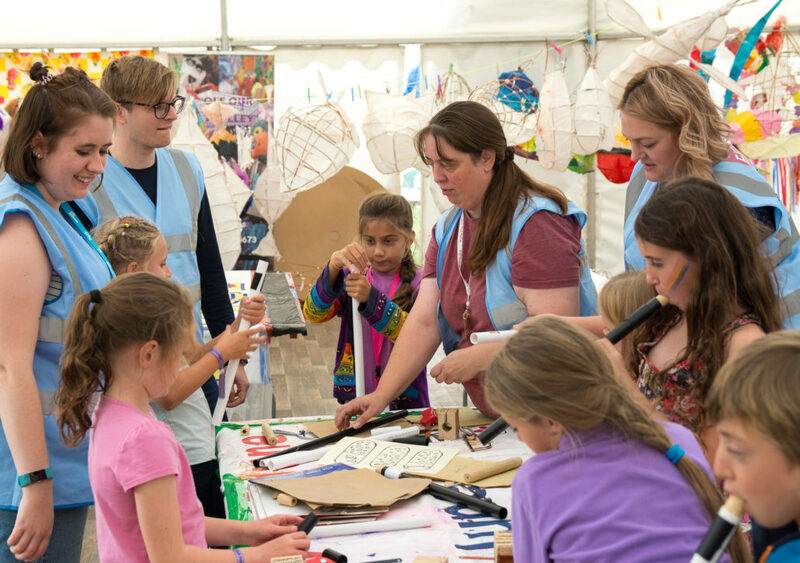 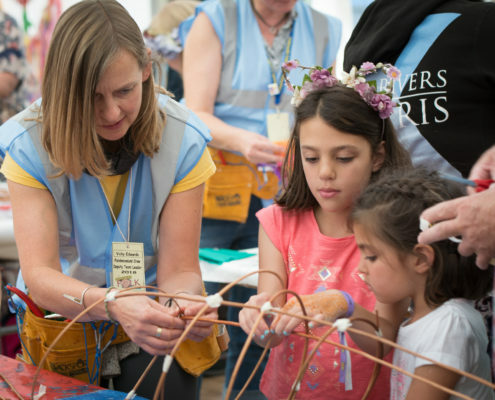 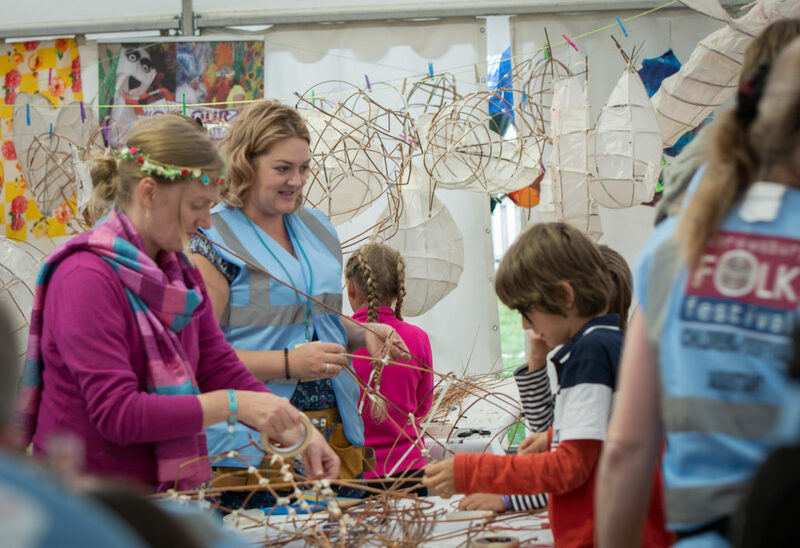 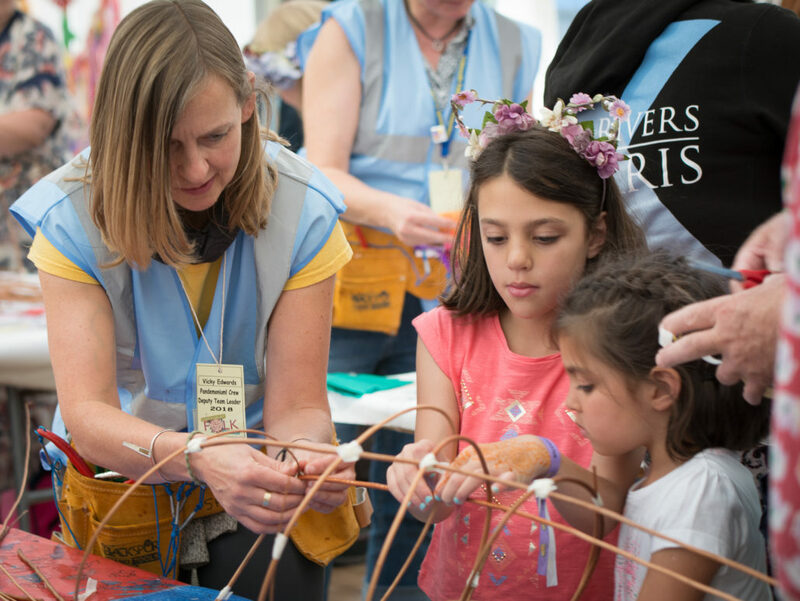 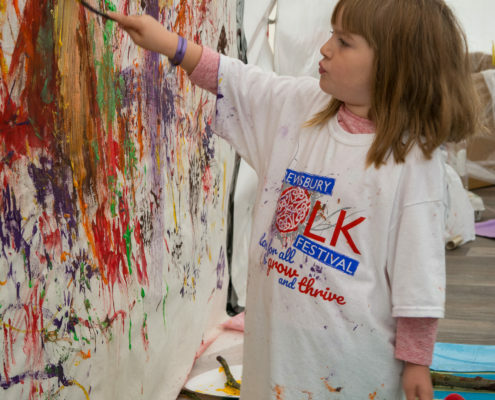 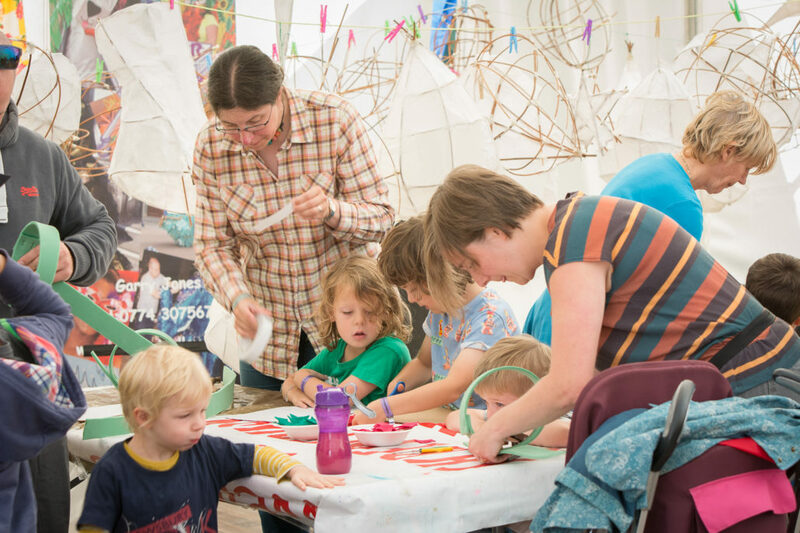 grows and changes every year with a different theme and new activities and workshops to enjoy – and it’s all free! 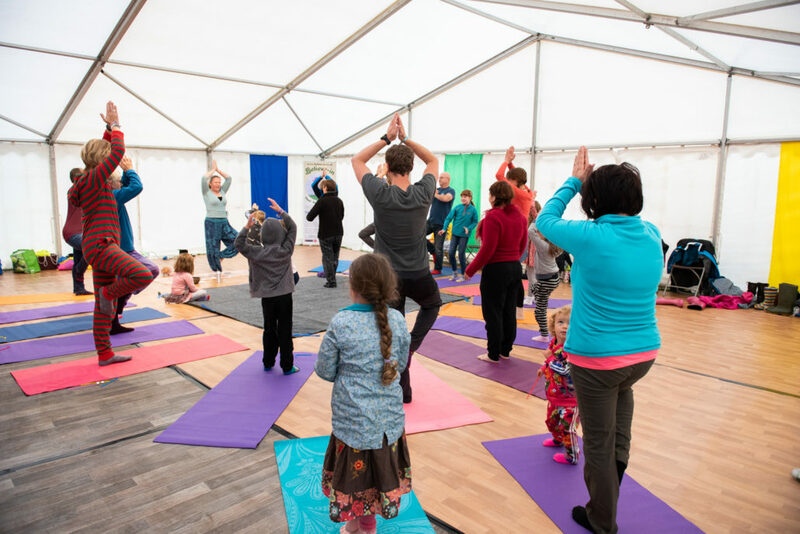 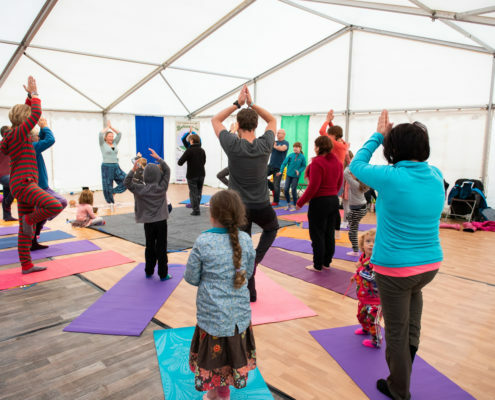 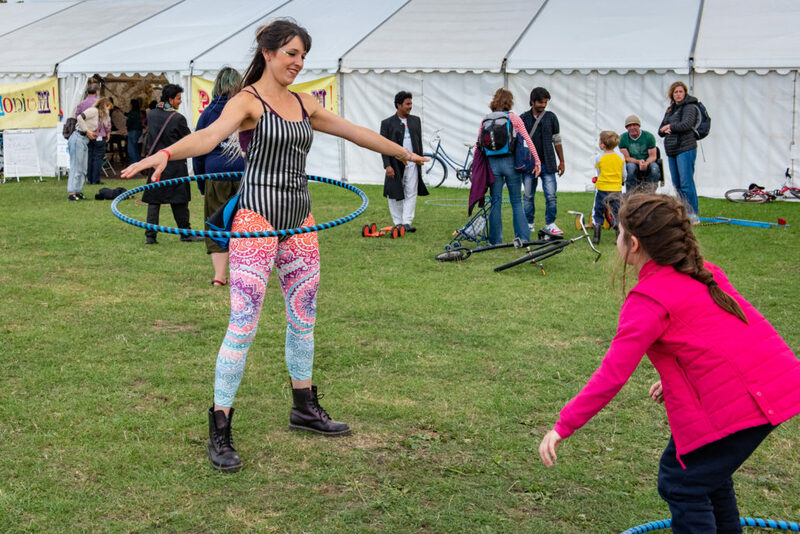 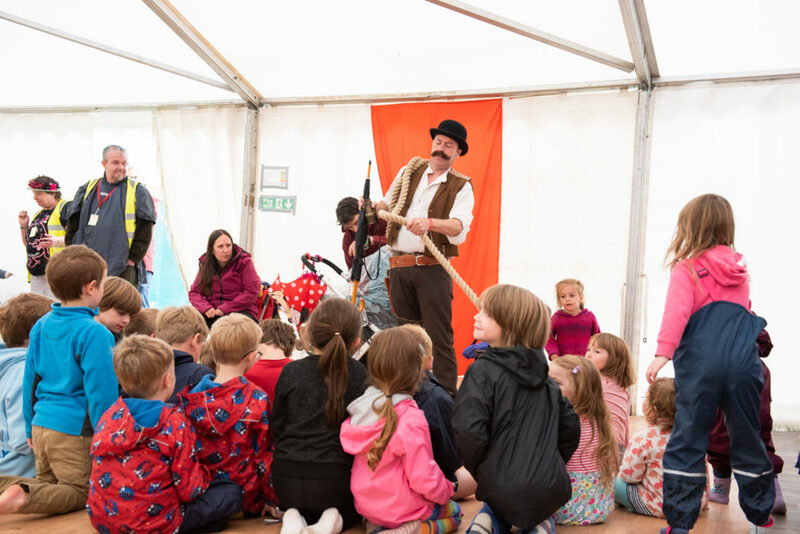 From its hub just off the main area, the kid’s zone is close to the village stage and perfectly positioned for parents and children to have fun together, safely tucked in an area of the site, but close enough to the action for it to be a real part of the event. 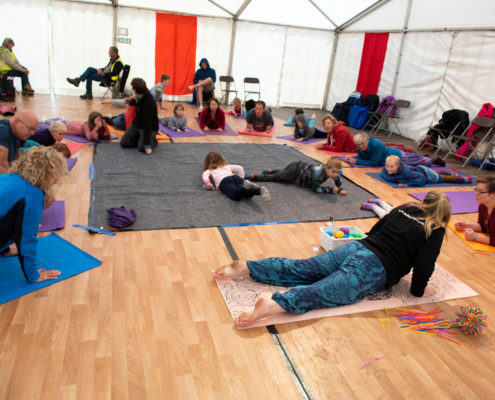 We also have our Wee Folkies area which has a baby changing and feeding area, as well as a whole programme of activities for the under fives. 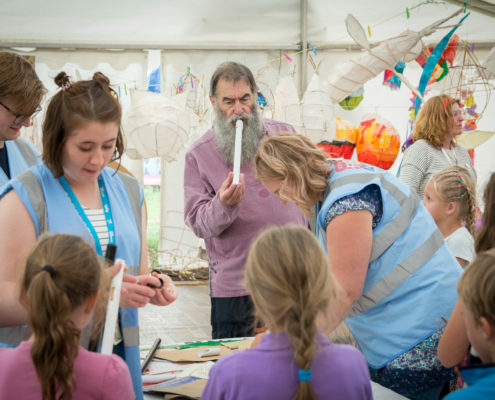 It all culminates in performances on the village stage and a magical lantern procession around the site on the Sunday night, where musicians, children and parents proudly parade around the site displaying the fruits of their labours! 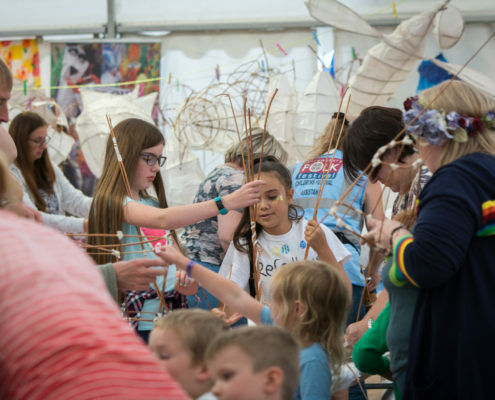 Oh we do like to be beside the seaside! 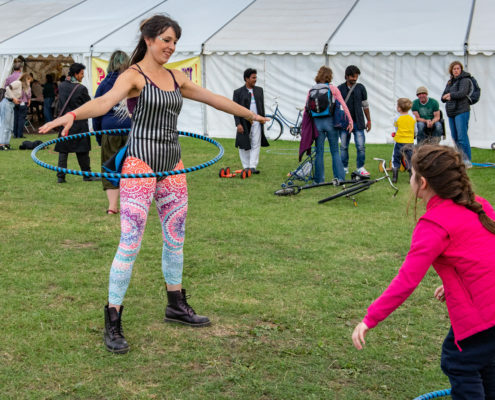 This year Pandemonium! 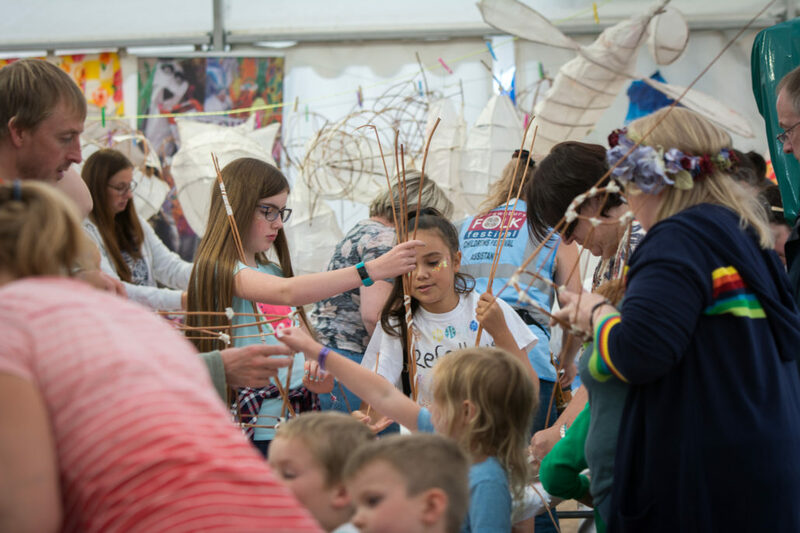 is taking a trip to Shrewsbury On Sea, celebrating the great British seaside and all the wonderful creatures that live along our coast. 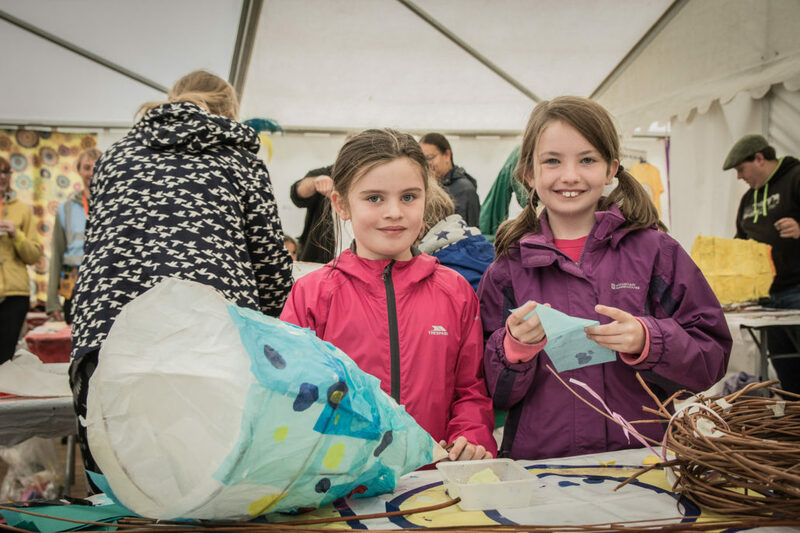 Come and meet the Mermaid, the Sand Dragon and the Donkey and have a go at making a lighthouse or giant jellyfish lantern. 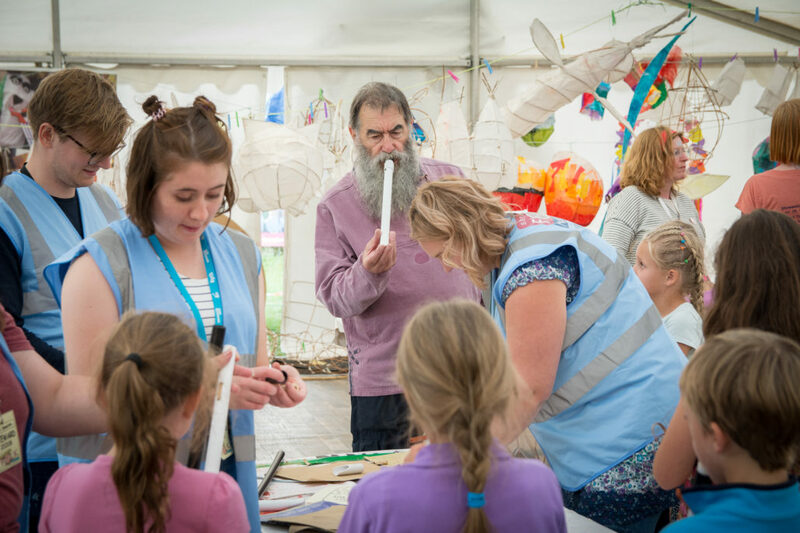 Our favourite artists are back, teaching us how to sign and sing sea shanties, embroider beautiful mermaid scales, and dance like pirates. 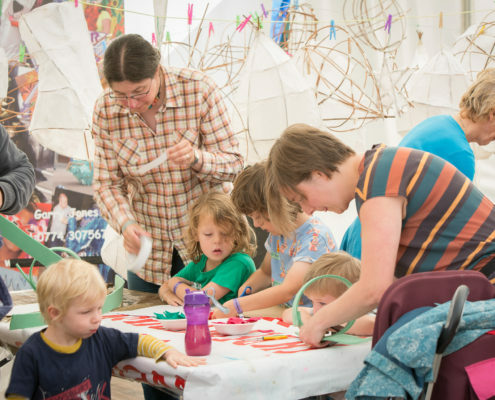 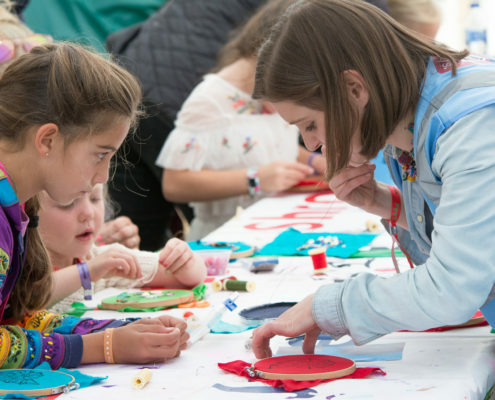 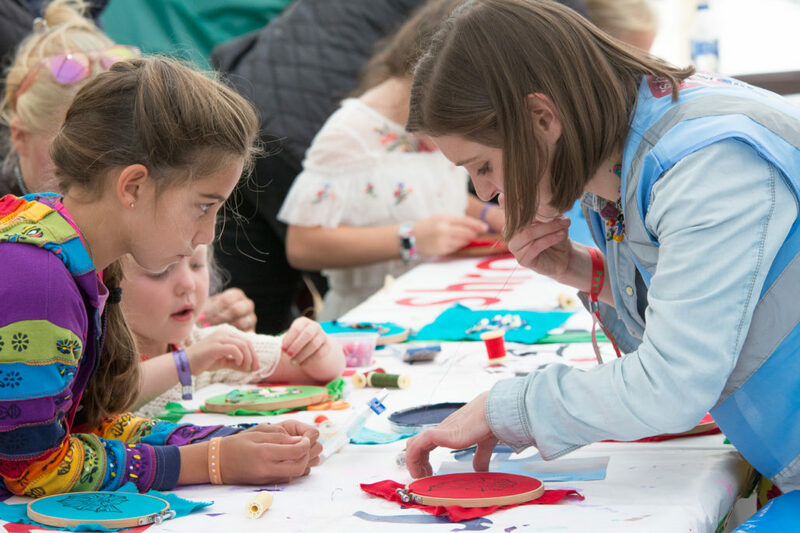 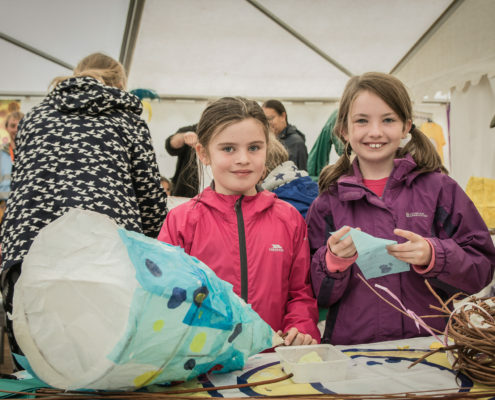 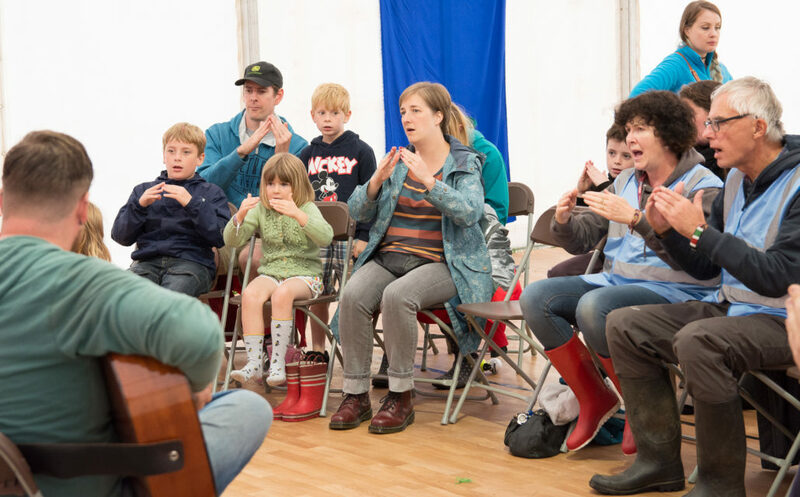 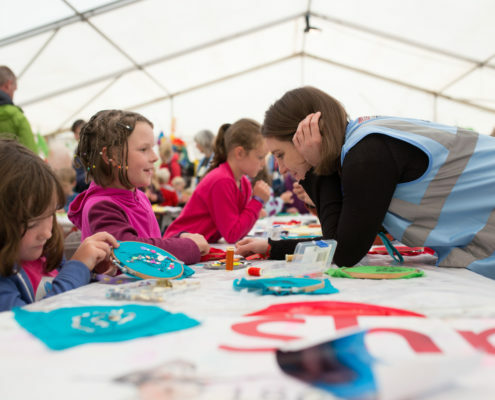 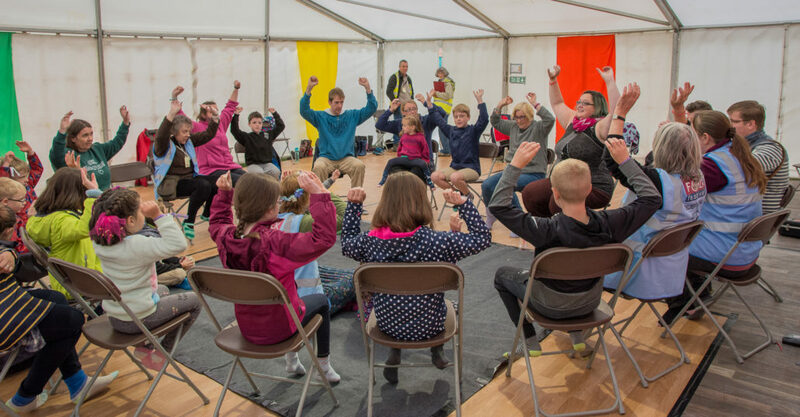 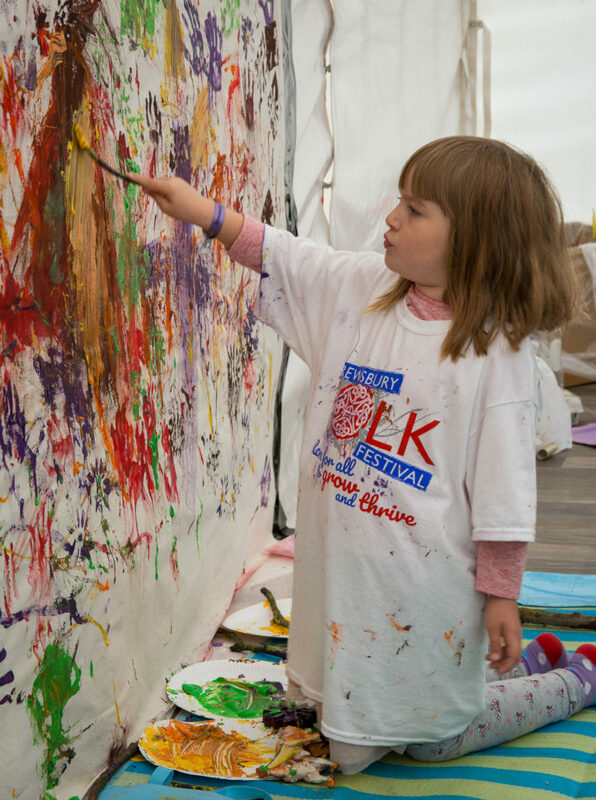 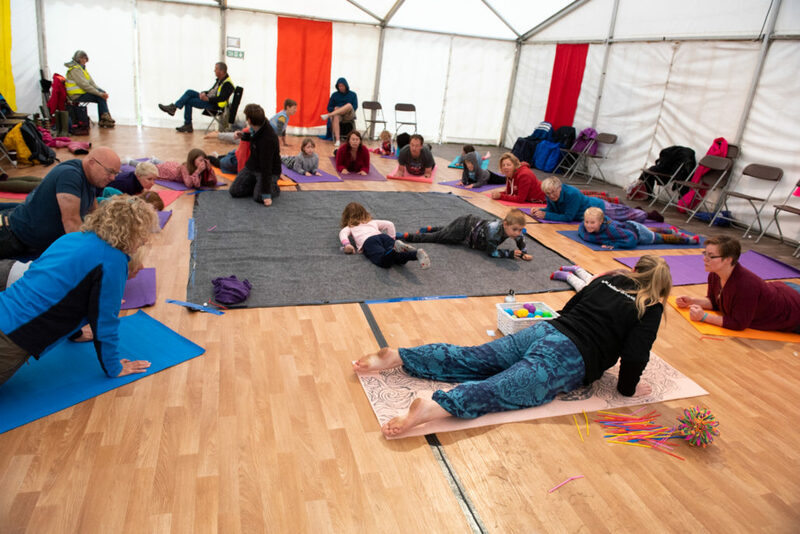 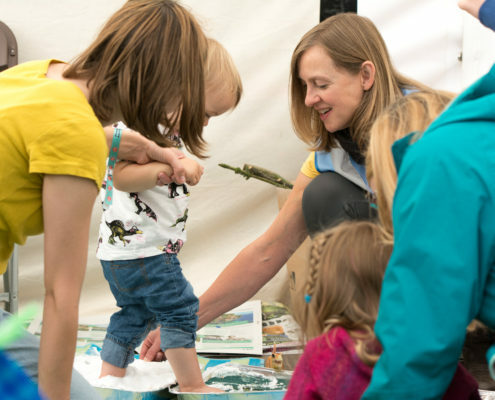 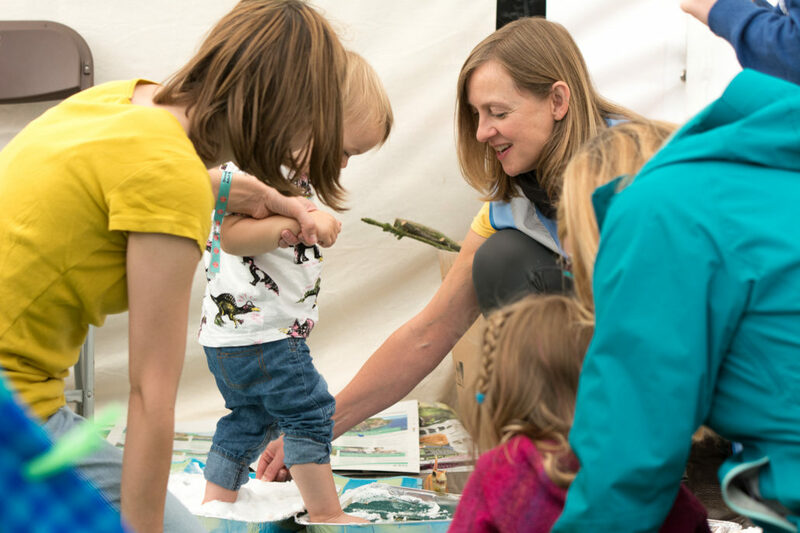 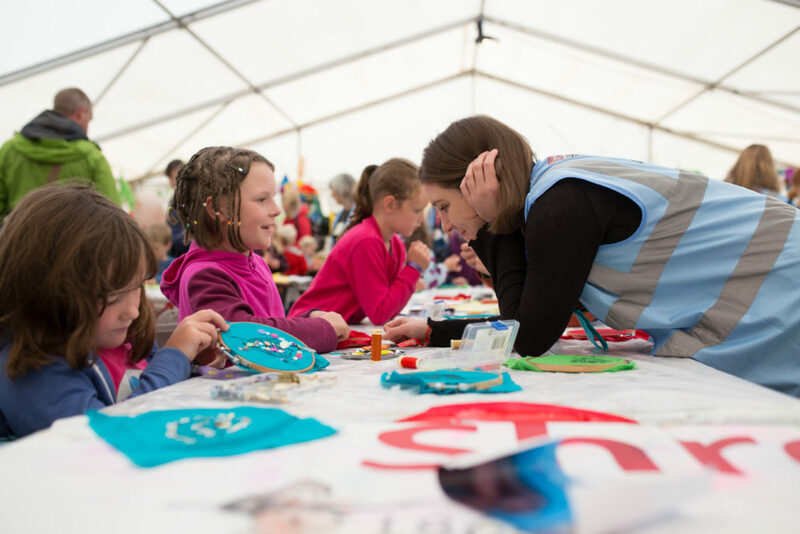 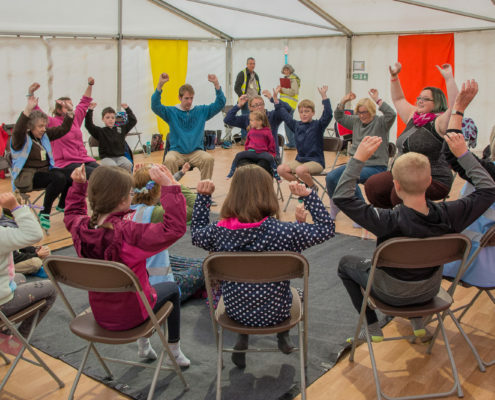 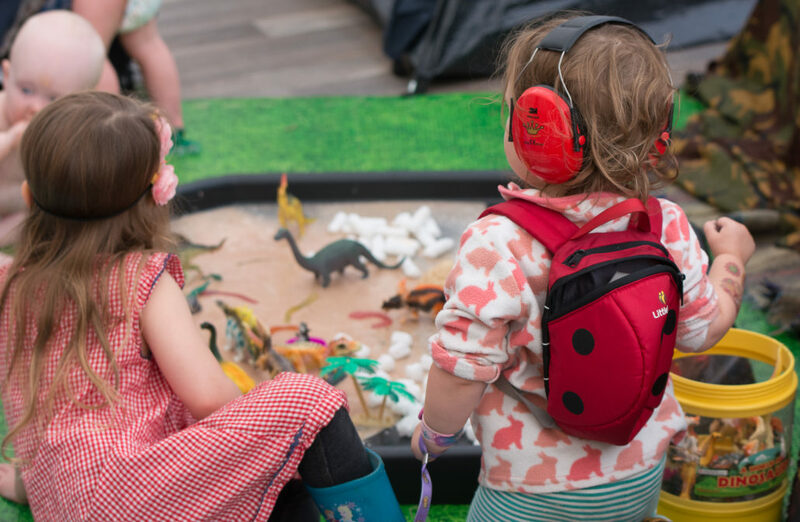 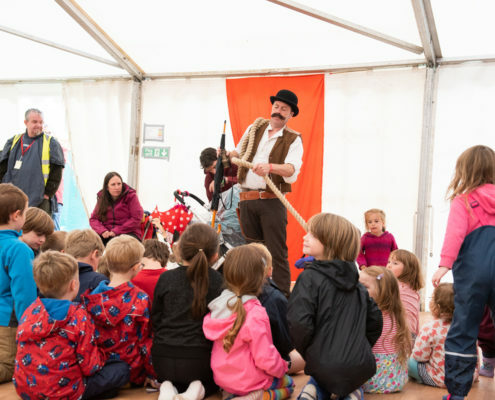 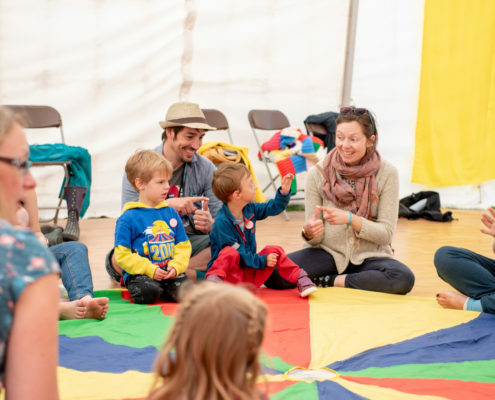 The wee folkies, our revolutionary programme for the under 5’s, will be a beachside haven of sensory delights and stories, and our popular 8-10’s sessions will be back, even bigger and better. 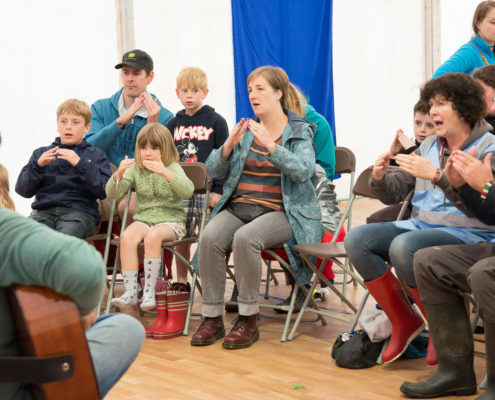 Keep an eye on the page for updates, and do watch and share our wonderful video. 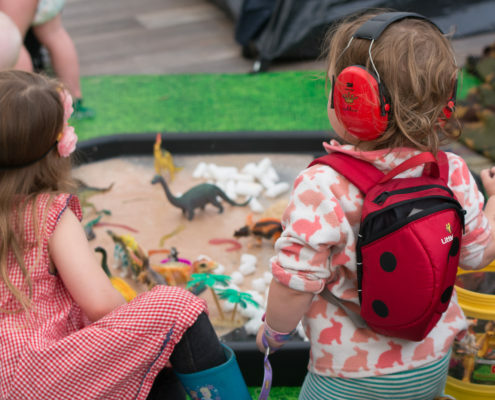 We can’t wait to have you party with us on the beach!